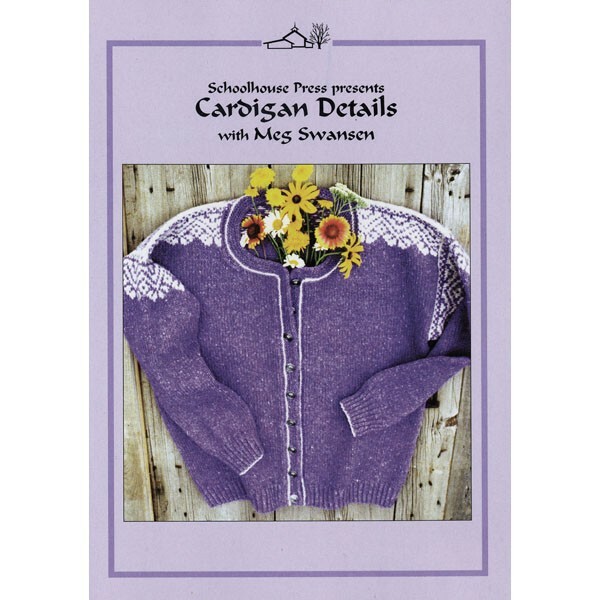 Filmed on location along the spectacular Oregon coast, Cardigan Details concentrates on knitting a circular Norwegian style dropped-shoulder, scooped neck cardigan. Meg teaches the steps for knitting, cutting and finishing a steek, as well as: casting on and k1b, p1 rib, increasing, short rows and wrapping, knitting-back backward, color pattern knitting, and attaching sleeves. In short - everything you need for your Cardigan. Plus, knitters love Meg's Garter stitch cardigan border knitted directly onto the garment in one continuous piece (no sewing), which involves: knit-up ratio, mitered corners, neck shaping, one-row buttonholes, two-stitch I-Cord Cast Off and finishing the cut edge - all of which Meg demonstrates in detail. 1 hr 30 mins. DVD.